Difference between revisions of "Choosing Frontend Hardware"
Most of us have a combined frontend/backend system in the living room or a backend somewhere hidden. As we get more addicted to Mythtv, the desire for additional frontends in other rooms in the house is increasing. Outdated: The information detailed on this page is intended for standard definition decoding only. Most of these systems will be underpowered for use with high definition content. The goal of this page is to compare the options and make a choice for frontend hardware. This page currently only applies for SD boxes. HD boxes may require higher specs. An SD frontend shouldn't need a lot of hardware power. In fact, new video acceleration hardware (VDPAU) can even allow you to use minimal frontend to play HD content. How cheap can you go and still play recordings from a backend? Some of the mini-itx systems are fanless. How much pain and suffering required to get things set up and running? How much 'fiddling around'? Will Mythdora, knoppmyth or another all-inclusive distro 'just work'? If network booting or other approaches used to reduce costs, how hard are they to configure? Is there any trade-off in video or sound quality? Is the system power borderline? Are menus slow? This attribute is mainly aimed at MediaMVP, which loses points since kids, spouse, etc will need to learn another UI. Other nice side-benefits of a particular approach or system. Capable of HD ( Picture playback, and Apple's H.264 (5Mbps, 24fps)). Not ATSC-HD Capable. HD capable (1080i) even with the Intel graphics chip. Black and silver case fits in well in most home theater setups. Hardware upgrades are very easy. Basic Desktop form factor. Bigger than a MacMini and typical small form factor PC. Specifications vary. 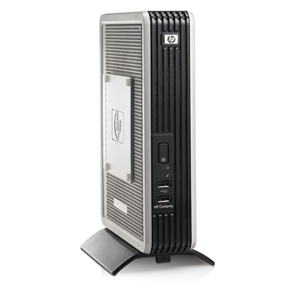 For example, a DC7700 could come with an nVidia, ATI or Intel graphics, be a Pentium D or Core Duo. Most likely source for these is as used, off-lease. They are sourced from resellers who are buying lots of these units out of very large companies. Intel Minis Use integrated GPU rather than dedicated chip. But, this is probably more of a drawback for 3D performance than video. GPU has video acceleration capabilities, but no Linux support yet. DVD-ROM drive is sensitive to most CD-Rs, and some brands of DVD±R(W)/DLs. Given the cost of the XBox, it makes a pretty decent Standard-Def frontend. The CPU has enough power to perform all the usual MythTV bells and whistles (OSD, Time-stretch, haven't tested Picture-In-Picture) with MPEG-2 video (haven't tested those features with MPEG-4, but Linux can run MPEG-4 in MythVideo). The machine is quite stable, but depending on how you go about installing MythTV, your software might not (some prefab'd Myth disk images are slightly unstable). One useful side-benefit is that should you find MythVideo to be unsatisfactory for one reason or another, an alternative can be run as XBox homebrew (the most common is XBMC). For $129 (with the price sure to fall eventually, with the release of the XBox 360), the XBox gives you a machine capable of all the (standard definition) MythTV features, and a few extra features as well. The machine is mostly quiet, the loudest part being the fan, which is easily overridden by either controlling the fan speed (0.9x and below delivers noticeable changes), by replacing it with a quieter fan (if you're prepared to void your warranty), or simply by putting something on (the fan is easily drown out by ANYTHING, and can usually only be heard when everything else is silent). While the XBox has been criticized as the largest game console known to man, it's only roughly the size of a VCR, and shouldn't be too outrageously large to install in a home media center. The DVD-ROM drive is quite functional for commercially pressed discs, but (depending on the brand of your DVD-ROM drive) is not compatible with most CD-Rs, and some brands of DVD±R(W)s, including Dual Layer media. The XBox is also phenomenally easy to set up. One cord for network, one for A/V, one for power. If the user feels it necessary, additional peripherals can be installed through the XBox's USB ports (though an adapter will be required). Diskless, fanless, small and high WAF factor. It becomes a MythTV front-end with the use of MediaMVP Media Center (mvpmc). Because the firmware is loaded via TFTP after every cold reboot, you don't have to worry about destroying something. Built-in hardware MPEG-1 and MPEG-2 decoder. Different UI than other MythTV front-ends. On the American model the best you can get is S-Video. Transcoding PC needed for DivX and other formats. Playback of video formats other than MPEG-1 and MPEG-2 is accomplished by transcoding the files in real-time using VLC or the software supplied by Hauppauge on a PC. You can watch and delete your recordings, as well as view the upcoming recording schedule. You can also watch live tv on any available tuner. Additional functionality, such as scheduling of recordings, commercial skip, etc are not supported at this time (13/06-06). Sometimes lags behind MythTV protocol changes. See the project FAQ for the latest supported version. Old MediaMVP hardware versions don't have optical sound without opening the box. The new MediaMVP has optical sound. The mvpmc firmware is loaded by TFTP server. No security, but easy. MediaMVP Brochure - official product information. MediaMVP Datasheet - official product information. MediaMVP Media Center - (mvpmc) is a media player for the Hauppauge MediaMVP. It replaces the factory firmware and supports playing audio and video from MythTV or ReplayTV digital video recorders, or via HTTP, NFS, and CIFS. hardware information - specifications, photos. I think I read that this includes softsqueeze for tunes. Can upgrade SATA 2.5" hard drive without voiding warranty. Ideal home theater connectivity (RCA/Component/HDMI/DVI, RCA/optical audio). Cell SPEs may allow some encoding/decoding acceleration using SDK? Sony blocks access to Nvidia RSX GPU with hypervisor - Linux only has a framebuffer. For use as a back-end, the only methods available are through USB. Cheap. Check your favorite online auction site. Onboard video is weak (shares 16mb of system memory) so the PCI expansion and an add-on card are essential. This box is available as the t5720 or the t5725. Hardware is identical. The t5720 ships with windows, the t5725 with a "Debian-based client". There are many CPU/Memory/Flash configurations. I've got the 1GHz/1gb/1gb version working without problems running a default Ubuntu 8.04 desktop installed to a 4GB USB stick. I paid $200 on eBay without the PCI expansion slot. I use the USB Keyspan Vista RF remote so the frontend can be hidden and does not require line of sight for remote control. My next steps include moving the log files to RAM  to preserve my solid state storage. The PCI expansion slot will accept a half-length, full-height PCI video card. I found a fanless PCI nvidia geforce 6200 card w/ s-video out for about $35.00. It handles mythtv easily and I can enable Compiz to get the nifty eye-candy. This is a stable frontend which I use in my living room daily. I've tried xboxes, macs and clunker PCs as frontends but the t5720 / t5725 has been the easiest to setup, quietest and most stable solution I've found. Apple TV 300$ No YES Small ? ...Links off to specific system entries in the PVR Hardware Database.